I bought broccoli salad from the deli counter for the first time last year. I was surprised at how good it was. I'll have to try your recipe. DIDN'T THINK I WOULD LIKE THIS BUT I WAS WRONG. I WAS SUPRISED AT THIS DISH. I THOUGHT IT WAS REALLY GOOD! AND GOOD FOR YOU! I love these types of salads. 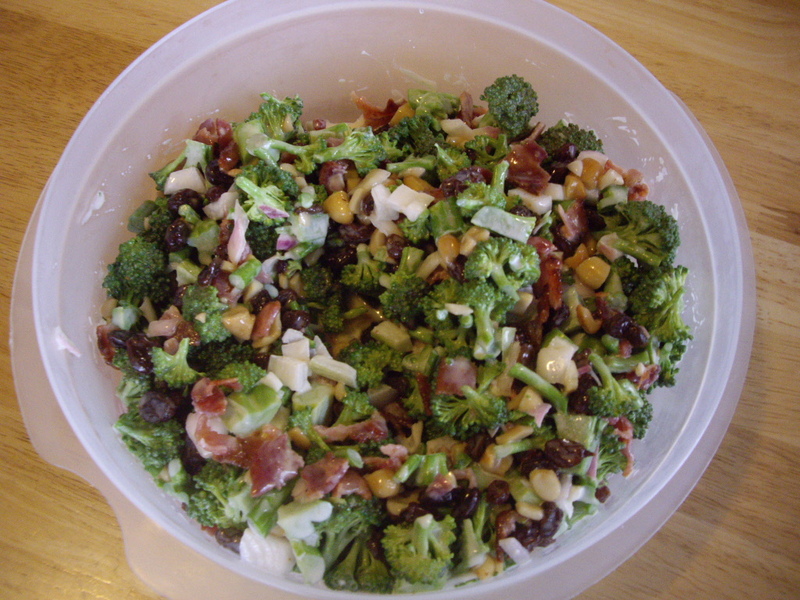 I use golden raisins, as I prefer them over the dark raisins, and I normally don't add the nuts, but I love salted cashews, so the next time I decide to make this salad, I'm definitely going to add them. Ruth, seeing this recipe makes me want to make this salad. And when I do, I'm going to use your recipe. Thanks for sharing the recipe! I look forward to making the salad. It is really good. I've never tried it with golden raisins. I may need to do that. Enjoy!